UWE Bristol has partnerships with several Universities across the globe, including Taylor’s University in Malaysia, which enables students across the globe to gain a UWE Bristol accredited degree. Established in 2004, the partnership with Taylor’s enables students from both Universities the opportunity to study in Bristol or Malaysia in their final year of study. 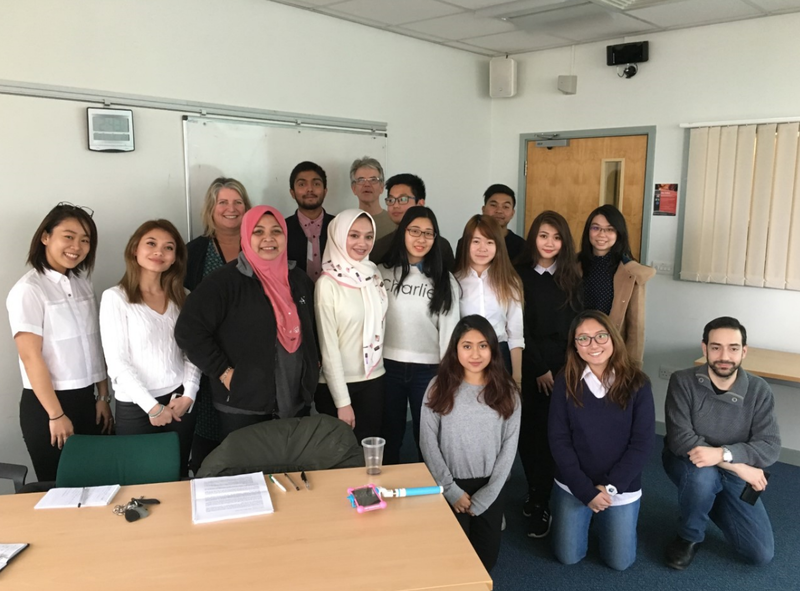 In mid-February, 12 first year students from Taylor’s came on a study visit to UWE Bristol in order for them to get a feel for what it could be like to finish their degree within the Bristol Business School at UWE Bristol. Whilst on their visit, the students were given the task of working on a brief to launch a product in Malaysia or the UK. They worked closely with our Team Entrepreneurship students and the Academic Success Centre. Additionally to working on the brief, the students were given the opportunity to work with students studying for the same degree as them; attend lectures and take part in team building activities. The students fed back that they had a great experience and some of them plan to hopefully return to UWE to finish their studies. After the success of this study visit, it is hoped that visits like this will become regular events, and there are plans in progress to develop similar opportunities for UWE students to visit Taylor’s University.